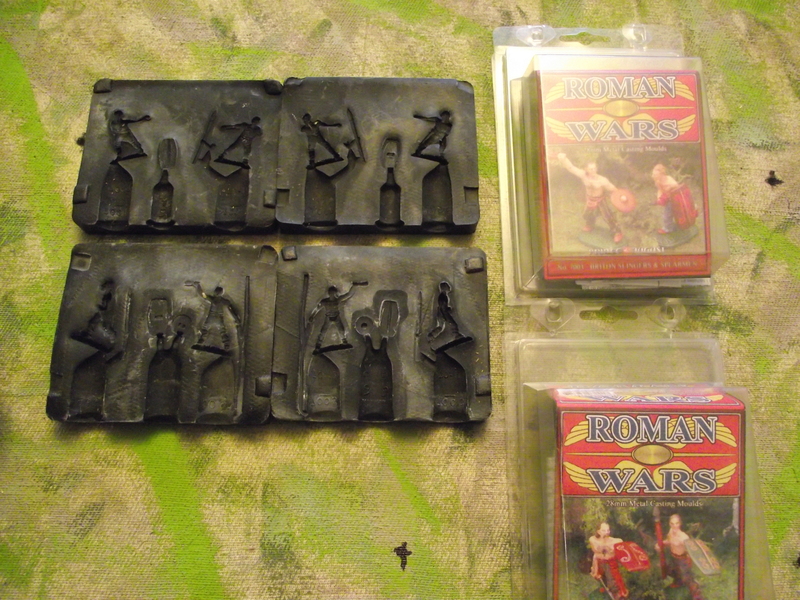 As I have been digging out my unmade and unpainted Ancient British and Roman figures I remembered I had also bought some moulds…………. These are the British – Spearman, swordsmen and slingers – with shields. 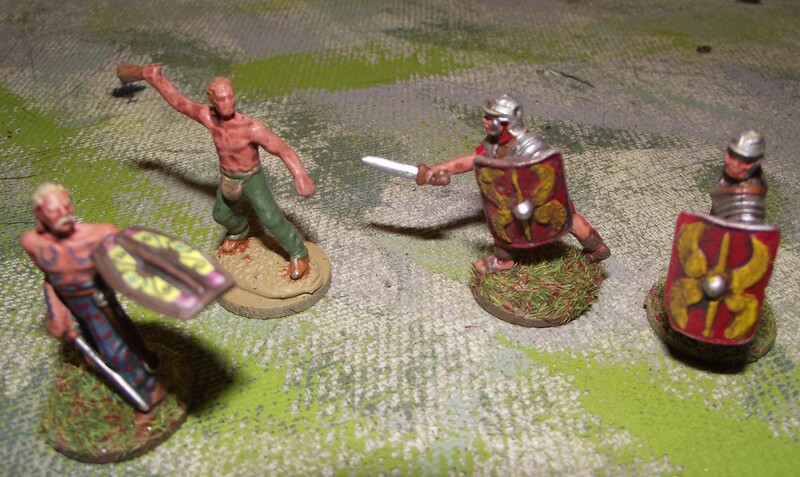 These are the Romans – with swords and pilums with shields. And how do they look? Pretty good………..and perfectly ok for filling the ranks and building the numbers of units up!! 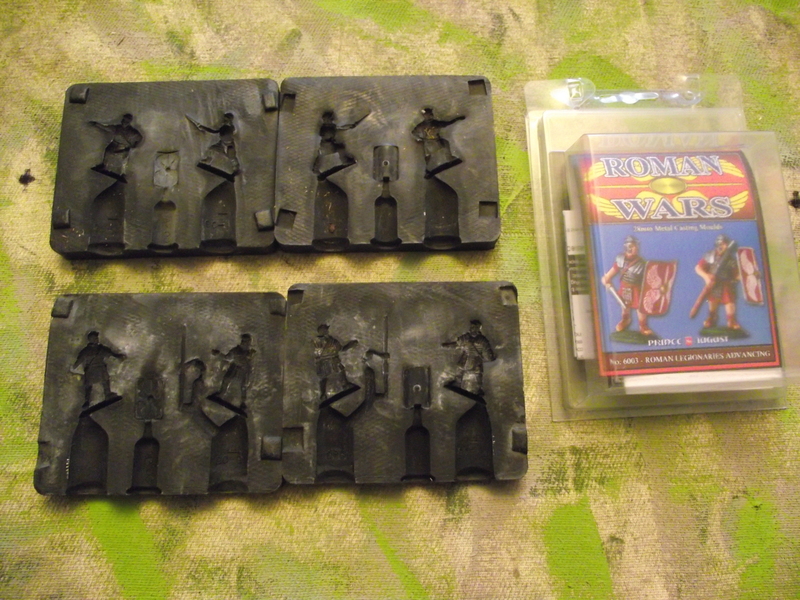 I reckon I have enough lead to make one unit – either Roman or British – but the lead is £3 from Prince August and is supposed to make 7 ish figures an ingot, which works at 42p a figure. Your average Warlord plastic is about a £1. Ahh…………..breath those fumes……..so many memories. Nice – I started with Prince August molds back in the 80s (and still have them). I used lead from fishing weights and melted them in the same tool you have over a gas stove in the kitchen. It was a cheap way to build out my fantasy units, but not the safest, especially now that the dangers of the vapors is known. They are potentially carcinogenic! But I still cast and am getting rid of my lead and moving towards lead free pewter. 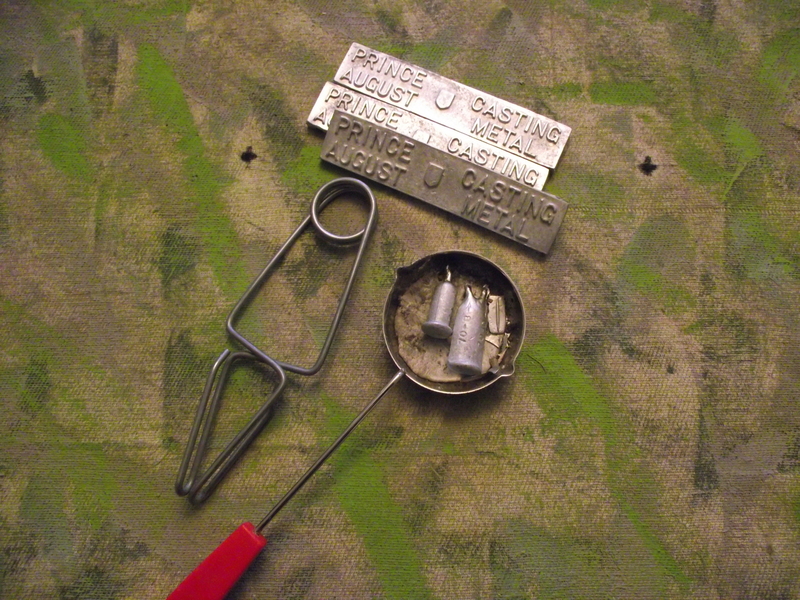 I also found better results when I temperature controlled the lead/tin mixture. It’s detailed in my blog if you are interested. Yours came out pretty well I must say! I still have quite a few 25mm Napoleonic figures filling out my French ‘Army of Portugal 1810’ – I used all sorts of stuff to make them!! Not just the vapours – I remember pouring moulten lead on my hand one time – got it under the tap quick enough not to cause long term injury. Having trouble getting these to work – having to make a fair few vent holes – But I’ll keep trying. Nice to hear from you, I’ll have a look at your blog. If I can assist you please let me know – there are some very comfortable heat resistant gloves I use that were cheap and don’t forget the eyes! When I used my PA molds with controlled temperatures (well relatively) results improve dramatically, but I’m afraid I damaged a number of them back in the day with overly hot metal.